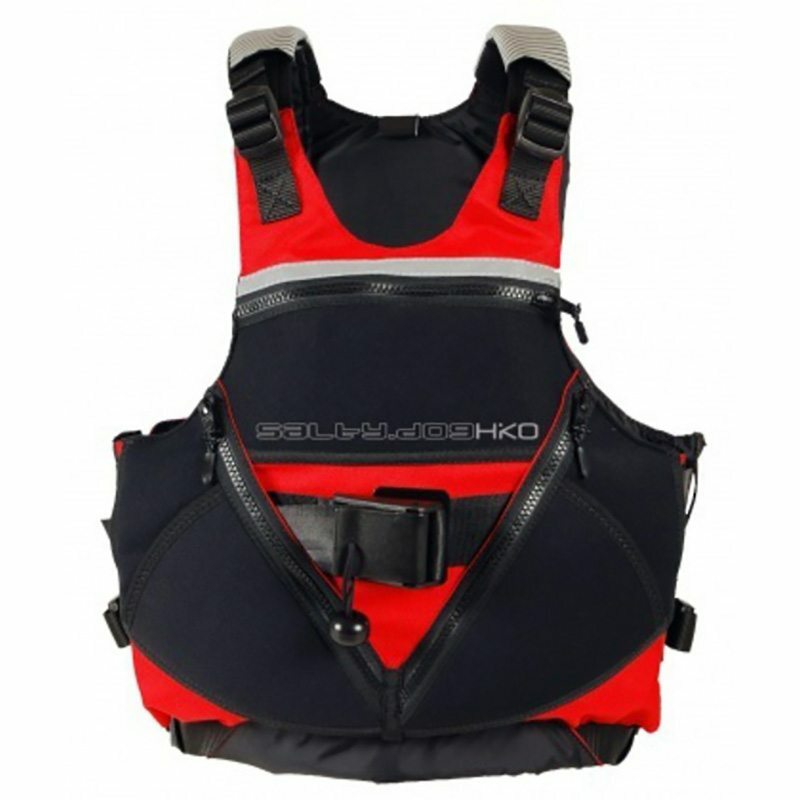 Salty Dog is a PFD packed with features. 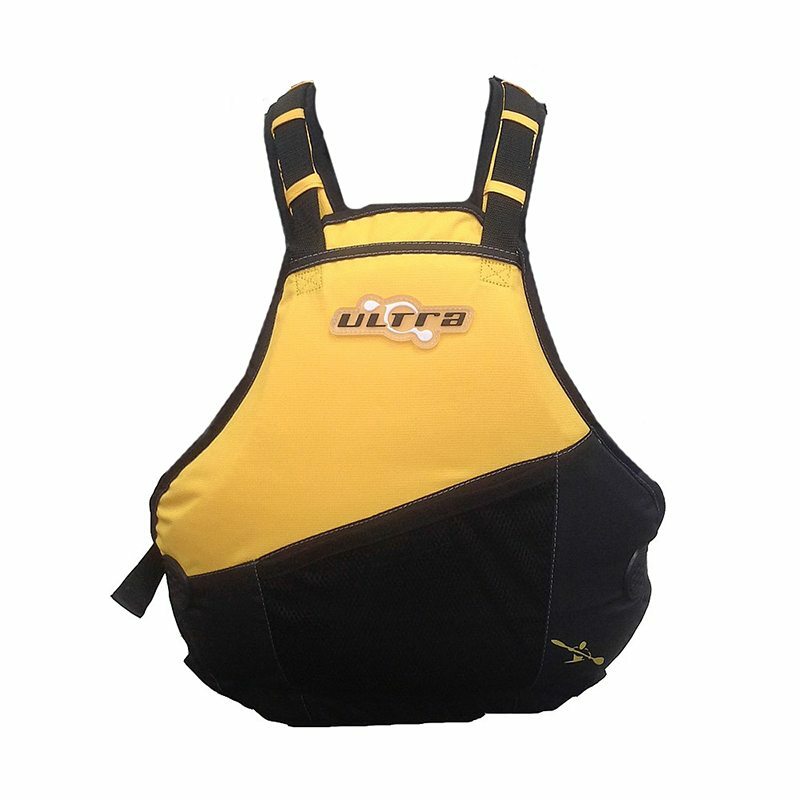 In the front there are 5 pockets, a large main one plus two smaller pockets, all with a zip. Two smaller (open) front pockets are practical for small items and snacks. 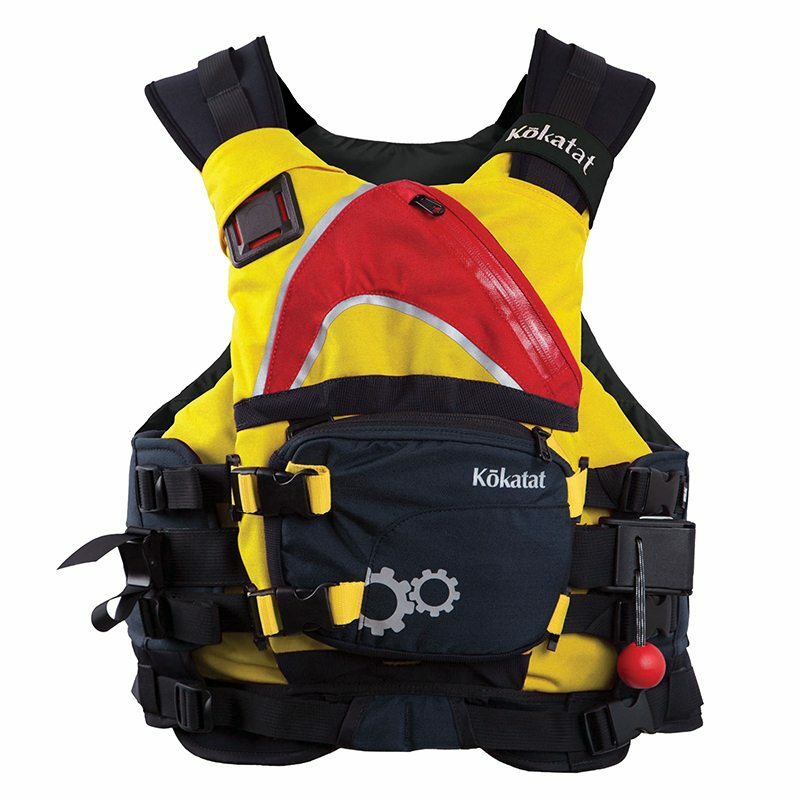 Salty Dog has a chest harness and reflective details for safety. 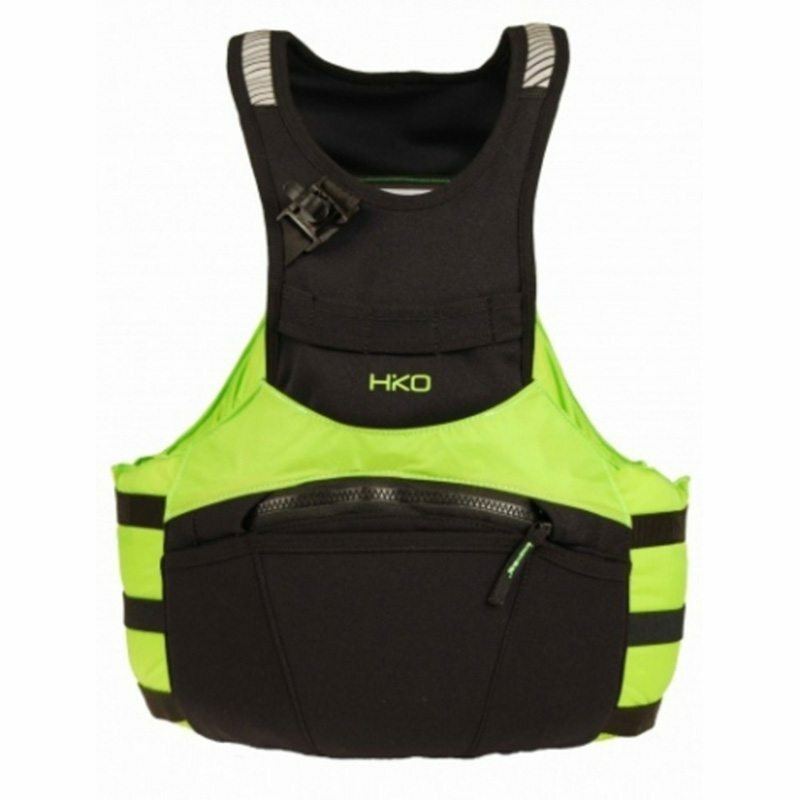 A large pocket on the back will accommodate a hydration bag; the fold-away neoprene pocket can hold a throw bag or a tow line.